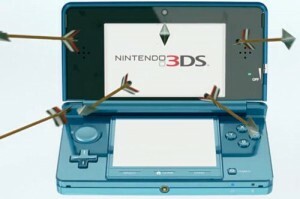 We have been eagerly awaiting the launch of the Nintendo 3DS and looks like it will finally happen pretty soon! Nintendo at a press conference in Tokyo said that the new 3DS will be released in Japan on February 26 and would cost about ¥25,000 which is about $300. The US release date was not given but is expected to be in March. Nintendo also announced that it will make software sharing possible meaning downloaded software from one 3DS can be moved to a newly-purchased 3DS. It also lets you download DSiWare from a DSi or DSi XL. The Nintendo 3DS will come with a charging stand, a stylus and a 2 GB SD storage. It comes with cards which become into augmented reality images when viewed through the front-facing camera. Nintendo’s promotional video shows other features like wireless communication between systems and ability to take your own picture to create a Mii. More as we know about it, in the mean while enjoy the video. Previous Submarine to Stop Hurricane in its Path!